The first Monday in September marks Labor Day, an annual celebration dedicated to the social and economic impact workers have had in the United States. This year, there are more workers to celebrate as the market for clean energy jobs has dramatically increased. 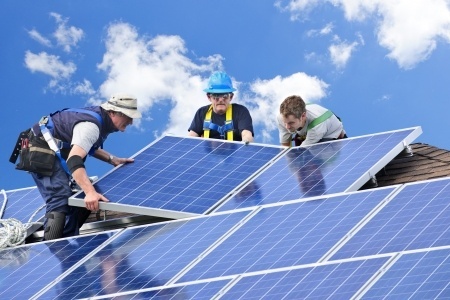 In just the second quarter of 2014 the sustainable energy sector created 12,500 new jobs, more than doubling the number added in the first quarter. 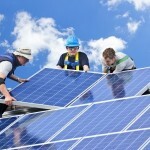 Solar energy continued to be the primary source of this upturn, responsible for more than 5,300 of the 12,500 jobs. This considerable growth clearly demonstrates the trajectory of growth in the clean energy job market. However, this is in many ways contingent on the support and cooperation of both state and federal legislators. Policies that grow the economy and protect the environment are more crucial now than ever as the country struggles to regain the security and prosperity lost in the recession of 2009. In June the EPA announced the Clean Power Plan to lower the global warming pollution produced by power plants by creating emissions reduction targets on a state-by-state basis. There is great optimism surrounding the Clean Power Plan, which many expect to help create hundreds of thousands of jobs, and simultaneously save both American businesses as well as consumers billions of dollars in energy costs. The clean energy movement is well represented amongst all the states, regardless of their political affiliation. Despite the social and cultural differences that states may have, clean energy has taken great strides in moving beyond a political issue, and become an issue of necessity.